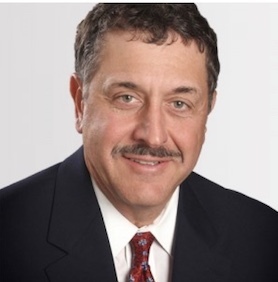 Born in Ashtabula, Ohio, Dr. Orlando received his bachelor’s degree in chemistry from Gannon University in Erie, Pennsylvania and his medical degree from The Ohio State University in 1979. He completed his residency training at The Ohio State University Medical Center in 1983 and founded Columbus Ophthalmology in Dublin the following year. Dr. Orlando’s contributions to ophthalmic surgery have earned him the reputation of being a technological leader and true innovator. His area of expertise is small incision cataract surgery utilizing the most advanced IOL technology available to help improve a patient’s vision. Dr. Orlando has participated in FDA clinical studies on surgical devices and has authored scientific and clinical articles, books and videos. Dr. Orlando is also a bit of a renaissance man: complementing his highly scientific side is his vibrant, creative mind. His skilled surgical hands have been painting beautifully for decades, and many examples of his work hang in our clinics. Hundreds of his paintings have been sold over the years with all contributions going to various charities. Dr. Orlando lives in Dublin with his wife Cindy and enjoys spending time with his two daughters and grandaughter. © 2019 EASTWEST DESTINATIONS. Website design by QMS Services, Inc.